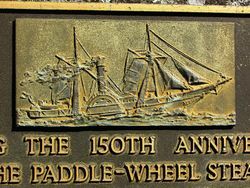 A monument commemorates the 150th anniversary of the launching of the paddle steamer William IV from the Deptford Shipyards, Clarence Town in 1831 which was the first ocean going steamer built in Australia. Paddle wheel steamer, William IV was launched in November 1831. A large crowd assembled to witness the launch and partake of the luncheon provided by owner Joseph Hickey Grose, an ex-convict. The contract to build the William IV had been signed with Williams River ship builders Marshall and Lowe earlier in 1831. 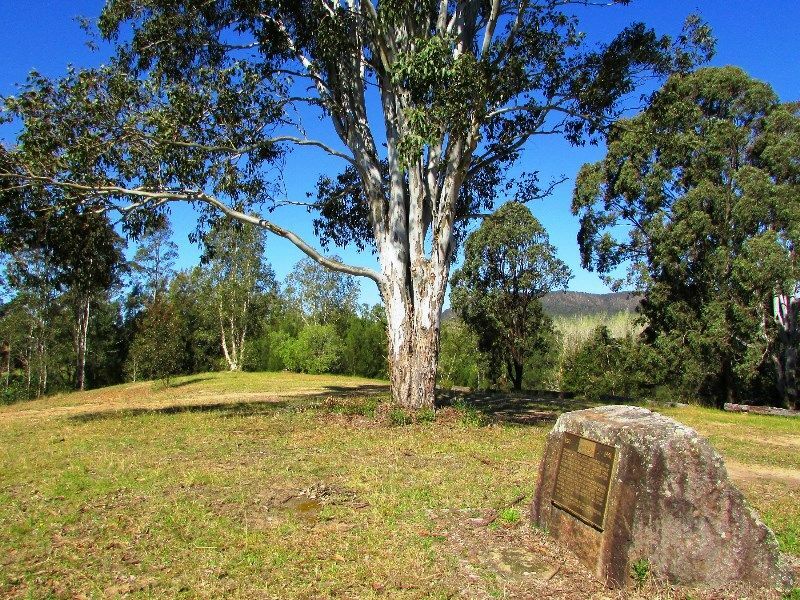 James Marshall and William Lowe had arrived on the `Tiger` in 1828. The William IV when launched was fully rigged but minus her Liverpool made engines which were later installed and improved in Sydney. William IV had one 16hp engine which was fitted with two cylinders which were at the time frequently but incorrectly referred to as "engines." The abundance of excellent hardwoods — flooded gum and ironbark — convinced them to commence their shipbuilding at the Williams River. They constructed a wet dock where a small creek entered the Williams so that vessels could be floated at high tide for repairs. They could be found at times travelling about the Williams River district in search of timber for their vessels. 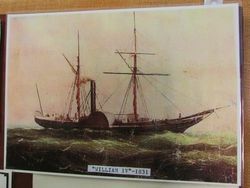 "William IV" was the first ocean-going steamer built in Australia. She left Clarence Town under sail & her engines were fitted in Sydney. Built by William Lowe and James Marshall for Sydney merchant J.H Grose, her length was 80ft. (24.4m) and beam 15ft. (4.6m). 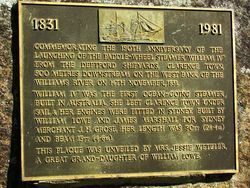 This plaque was unveiled by Mrs Jessie Wetzler, a great grand-daughter of William Lowe.